I have found a cure for grief … it’s called grieving! The seeds of resilience, planted firmly in the bedrock of grace, spring forth as firm foundations of our character. Do you remember those first days, the “early days” of your grieving process? We’re told throughout life that if we want to make our lives better, we need to want to change. Well, I surely wanted the relief from the spiraling effects of grief as was the admission of my children. As a family we would soon discover that just being told – “to want recovery” would indeed not bring us the relief we so desperately longed for. Healing and release would come in the very act of grieving, as ironic as it sounds, even as I write it – the deliberate response to sorrow is what ultimately allowed us to find the freedom of it’s pain. I have posted more in the last few days then I have in the past month. It seems as though my life these days has fallen into a comfortable pattern – the days are filled with more of living in my new normal, rather then a continuum of grieving my old normal. I was for a time, the cautionary tale – the widow that all of the sites warn you about [steer clear] I was perfectly content to just hang out in my grief. I had not the where all or the inclination to move beyond the death of my husband. Not all of us perhaps have deep dark secrets or major conflicts to work through. I hope that most of you reading this have not had to work through the aftermath of a sudden death and experience the grieving process on the level that my family and I have had to in these past 3 years. Regardless of the nature – communication skills, relationships, low self-esteem, perfectionism, I learned that healing must [first] always begin within ourselves and the best compass in life is our own heart. … I am proud of the work we have done together as a family. For all of my life, I’ll remember these days – our first few years in our grieving process. It was no small feat what we did together all the while navigating our own individual process. The common misconception is that people who are resilient don’t experience negative emotions or thoughts, their display of optimism seems evident in all situations. On the contrary – resiliency is demonstrated when individuals can effectively and relatively navigate their way through crises and develop effective methods of coping skills. People feel grief, sadness, and a range of other emotions after adversity and loss. The truth of the matter is, resiliency does not develop by avoidance or resistance. We are not resilient, by just being stronger or moving forward but becoming more adept in our critical thinking, problem solving and ownership of our own pain – our own grief. Our road – path to being resilient lies in working through the emotions and effect of stress and painful events. We developed an engaging grace among us – a resiliency. 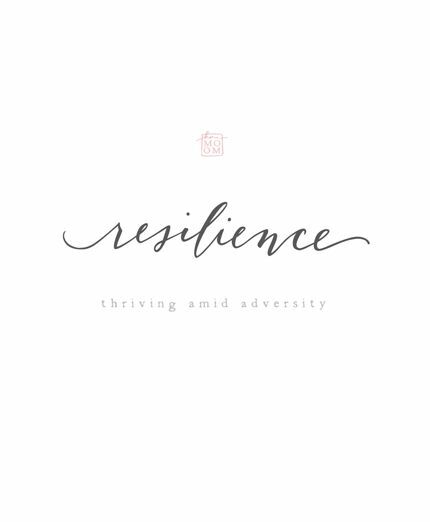 Resiliency inherent to all of us really – rooted in the tenacity of our spirit and developed when we can face life’s challenges with courage, grace, patience and refusing to never give up. A determination, and the ability to embrace all of what makes life worth living, even in the face of insurmountable odds. We have proven to be a family with the capacity to withstand the stress of tragedy, the catastrophic event that irreversibly changed the direction of our lives. We found strength in one another, the ability to grieve this enormous loss of life. Thank you for the lessons that only you, my children could have taught me – during this time. I am grateful beyond words to each of you for allowing me to be a part of your journey and for being so much a part of mine. Our experience together helped to create a new family normal and it is his life that connects us. We no longer live in the shadow of our loss – his death. We are resilient because we can hold fast to our vision of a better future. … and in the end – against all odds, against all logic, we have found hope.